Leading Manufacturer of flat bare copper braided, bare copper braided, stranded copper connector with silver plated end, copper stranded connector, tinned copper braided and hard drawn copper stranded wire rope from Delhi. 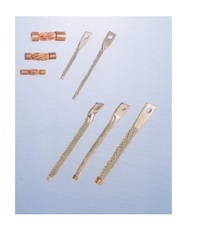 We are recognized as the leading manufacturer, marketer, and supplier of supreme quality Flat Bare Copper Braided. These flats are extensively used for shielding of cables, protective braid over the tubing, ground straps and other applications. Our offered flats are fabricated using high-quality raw material and innovative technology. Further, our flats are tested with all quality standard parameters, as per the set industry norms. Due to their salient features, these are highly demanded and available at nominal prices. 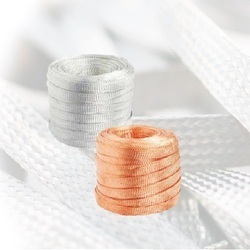 We are recognized as the leading manufacturer, marketer, and supplier of supreme quality Bare Copper Braided. These flats are extensively used for shielding of cables, protective braid over the tubing, ground straps and other applications. Our offered flats are fabricated using high-quality raw material and innovative technology. Further, our flats are tested with all quality standard parameters, as per the set industry norms. Due to their salient features, these are highly demanded and available at nominal prices. 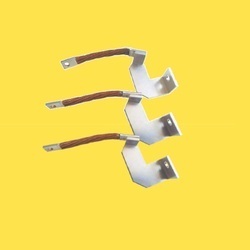 We offer Stranded Copper Connector With Silver Plated End and heavy duty busbar flexible connectors are manufactured using multi-layered braids up-by-up as well as side-by-side to increase the current carrying capacity. 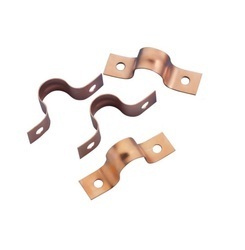 We are engaged in offering a wide range of Copper Stranded Connector that is used for electrical and conductive or grounding connection. The offered range of product is made from high-grade quality raw material to meet the international quality standard at our vendor's end. These products are highly demanded in the market due to their world class quality and available at leading market price. 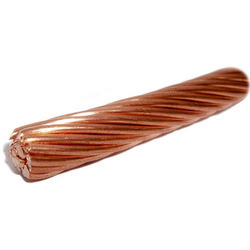 Our organization specializes in providing an excellent range of Tinned Copper Braided that is used for electrical and conductive or grounding connection. We are offering this product in various models and technical specification to meet the requirement of varied clients. To maintain industry defined quality parameters, it is manufactured using quality tested components and advanced technology at our vendor's end. Require low maintenance, these come in the market at pocket-friendly prices. 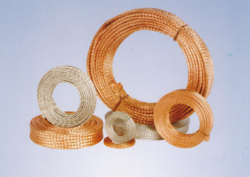 We offer quality Hard Drawn Copper Stranded Wire Rope. 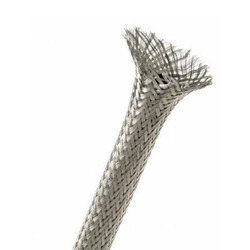 The High Tensile Strength of the rope wires makes them suitable for critical industrial applications. Our Wires have the smooth surface, high corrosion resistant, high fatigue strength, excellent heat resistance and are free from Lateral/longitudinal cracks, pits, and marks etc. We introduce ourselves as reputed and trusted the organization to offer a broad array of Hard Copper Connectors. Offered range of connector is designed to take up linear expansion and contraction and compensate for misalignment in applications requiring intentional movement. These connectors are manufactured under the supervision of our vendor's skillful and experienced professionals.